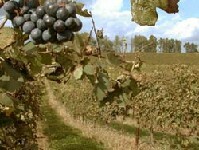 The department of Loiret was created out of land from the Ile-de-France and the historical province of Berry. Loiret takes its name from a small stream which flows through the department before joining the River Loire. 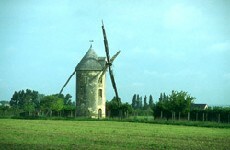 The Loire winds its way right through the department's agricultural lowlands which are mostly given over to the breeding of cattle and the growing of wheat and oats. These lowland areas are flanked by hillsides where wine is produced in abundance. Orleans, nestled along the banks of the Loire, is the departmental capital. It is home to over 112,000 people. Despite Orleans' turbulent history, including its involvement in the hundred years war and the severe bombing it was subjected to during World War II, the marvellous old town remains intact. The Cathedral of the Holy Cross with its Gothic towers is one ancient building that is definitely worth a visit. The construction of the cathedral began in the 13th Century but was not completed until a staggering 600 years later! The input of a large number of architects with very different stylistic visions is certainly clear to see. Orleans became a major academic centre following the Pope's decision to ban the teaching of Law in Paris in 1219. The large student population is still very much in evidence today, particularly around La Source, the university quarter. However, Orleans, is best known as being the town upon which Joan of Arc stormed in 1429 to eradicate the English before marching on to Reimes to crown France's new king. Whilst the department of Loiret is named after the tributary feeding the River Loire, the town of Orleans takes its name from the spring that feeds the River Loiret. A stroll around the peaceful Parc Floral de la Source will bring you to the source of this spring. To the East of the Loiret lies Montargis, one of the department's largest towns albeit home to only 15,000 people. This market town is situated at the point where the Loing River and a number of its smaller channels converges with the Briare canal and several smaller canals. A total of 127 bridges have been built to help people navigate the town. If you are fortunate enough to be in Montargis on market day make sure you try some Pralines, a nutty treat boiled in syrup for which the town is renowned. Gien is an attractive town on the banks of the Loire. Bombing during World War II left part of the town in ruins but it escaped the hurried and unthoughtful rebuilding which was the fate of many other French towns. Local building materials were used to rebuild the town in keeping with its traditional style. The stone bridge, which is the main entry point into Gien, offers the best view of the local chateau. A short trip up the river from Gien brings you to the 14th Century Chateau, Sully-sur-Loire. Situated on its own island and resplendent with tall white towers, this is truly the chateau of fairy tales. Flying to Paris is probably the easiest way to get to the Loiret. A range of UK airlines service both of the city's airports. From Paris, Eurolines runs a coach service to Orleans. An alternative is to fly to Tours, in the Indre et Loire department. Property in Orleans is quite affordable and very good value for money, while a steady flow of tourists provides a healthy rental market. Generally, prices are following the same upward trend year on year. Do you know Loiret better than we do? Do you have photos of Loiret? Loiret, department 45, is located in the northeast of the Centre-Val-De-Loire region of central France.